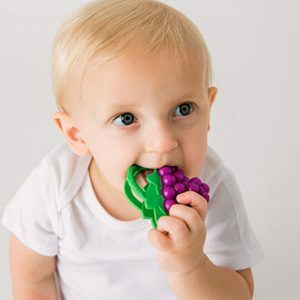 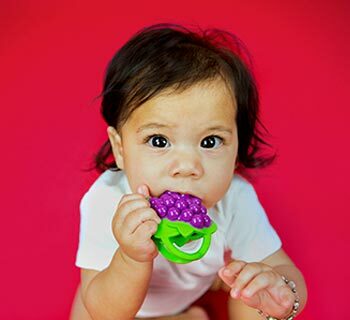 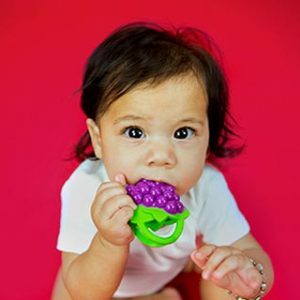 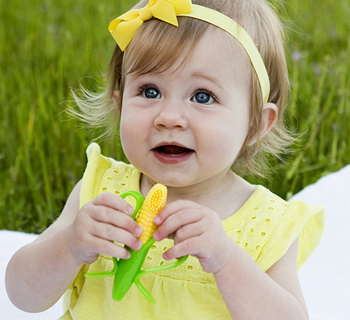 Fruit teethers are the perfect blend of shapes & textures to soothe teeth & gums. 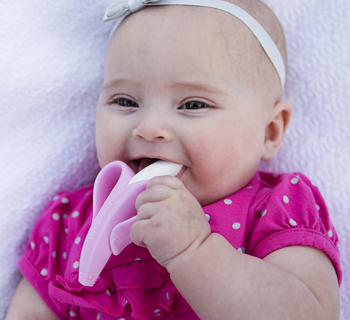 Now available in PINK! 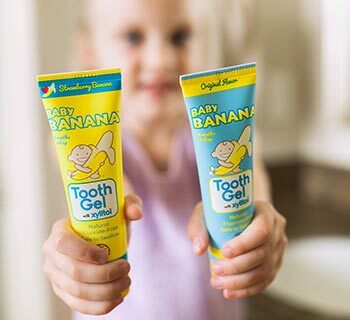 The original Banana Toothbrush with “a-peel-ing” handles for your 3-12 month old. 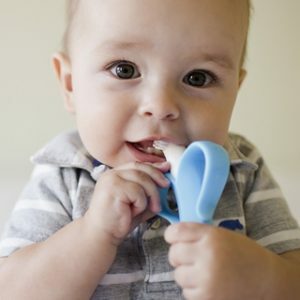 Now available in Blue! 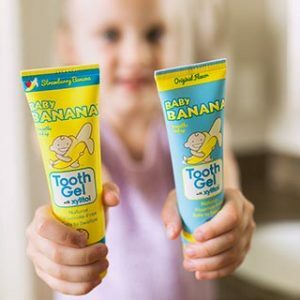 The original Banana Toothbrush with “a-peel-ing” handles for your 3-12 month old. 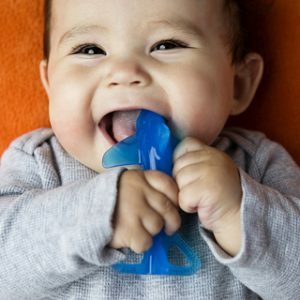 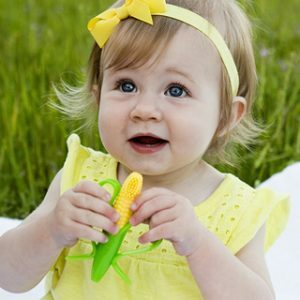 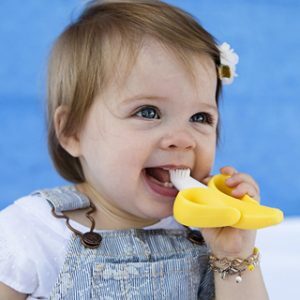 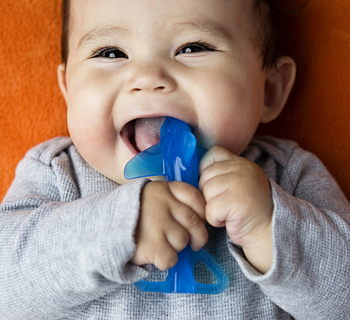 Take the “bite” out of teething with this soft silicone Sharky for your 3 to 24 month old. 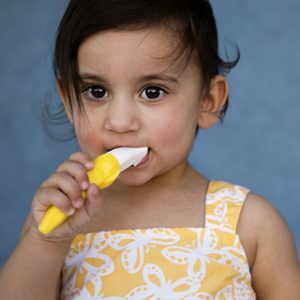 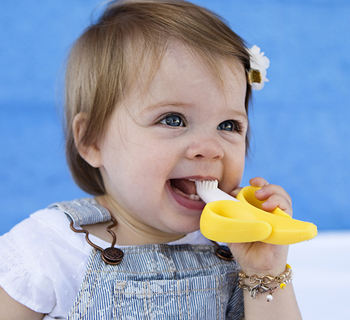 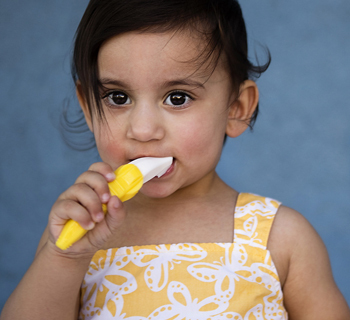 The Toddler Toothbrush with finer bristles an no handles to make it easier to reach back molars for your 12-24 month old.